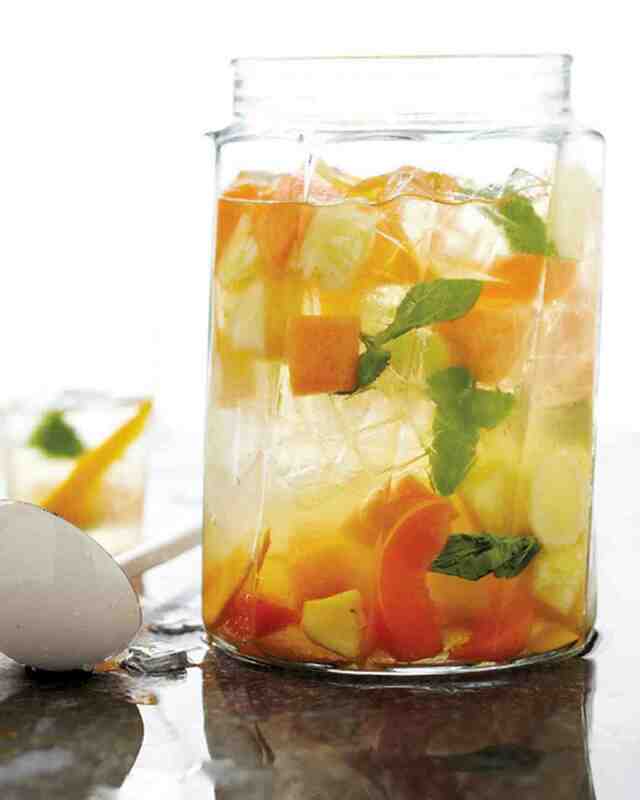 In a large bowl or pitcher, combine fruit, ginger, basil or mint, and orange liqueur. Mash gently with the back of a wooden spoon until basil is bruised and fruit releases juices. Add wine and lemon juice and stir to combine. Refrigerate 1 hour (or up to 1 day). To serve, fill eight glasses with ice and top with sangria.